Just one tablet per day helps build bone and relax muscles. 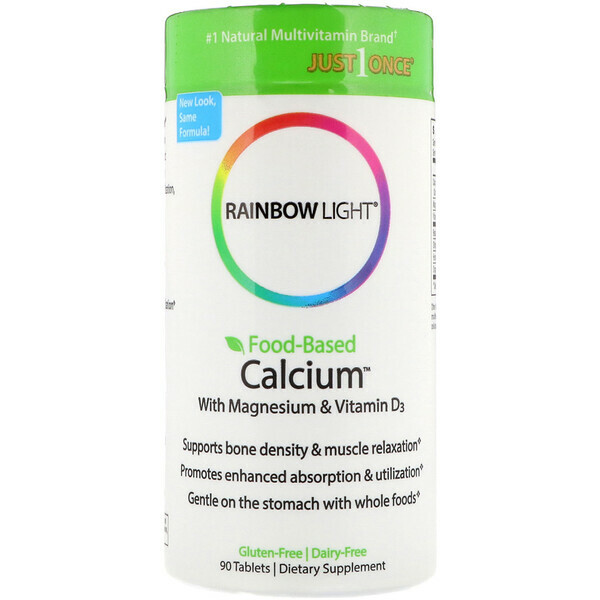 Provides 500 mg of calcium – the exact amount the body can absorb at one time – plus co-factors necessary for calcium absorption & utilization, as well as whole foods for easy digestion. 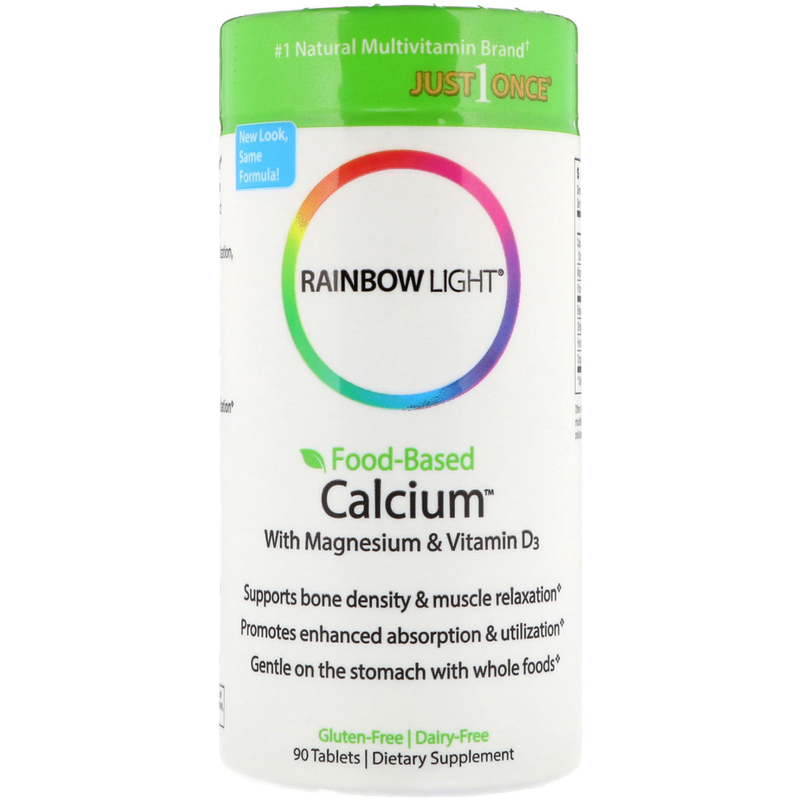 Helps build and strengthen bones & teeth – 2:1 calcium to magnesium ratio. Supports muscle relaxation & bone flexibility – magnesium • 500 IU vitamin D3. 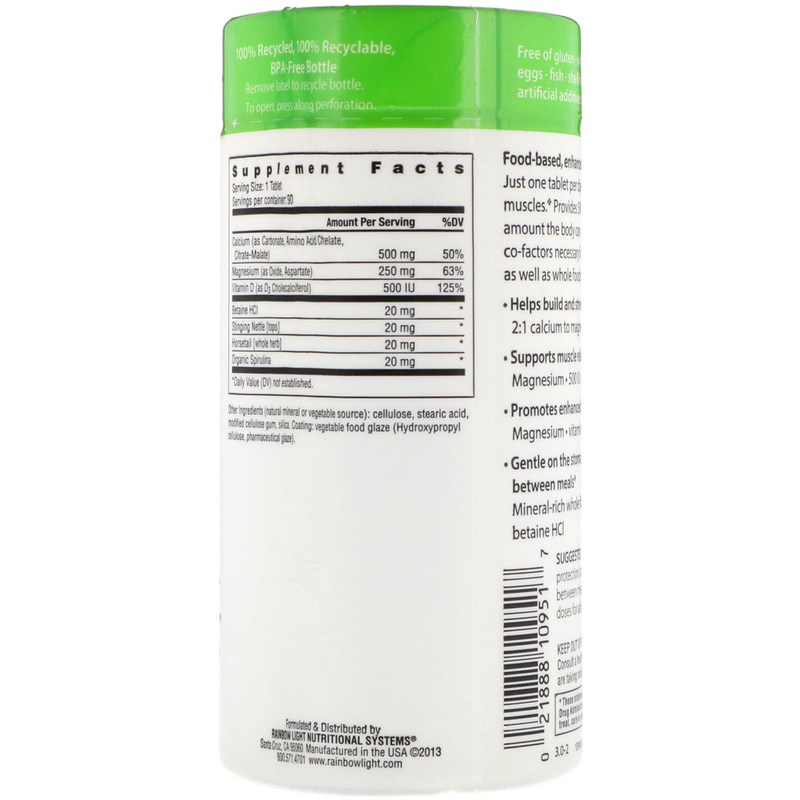 Promotes enhanced calcium absorption & utilization – Magnesium • vitamin D3 • food-based. Gentle on the stomach: can be taken with or between meals – Mineral-rich whole foods • organic spirulina • betaine HCl. For pure and potent protection, take one tablet per day, with or between meals. May take 2 per day in divided doses for advanced usage. (natural mineral or vegetable source): cellulose, stearic acid, modified cellulose gum, silica. Coating: vegetable food glaze (hydroxypropyl cellulose, pharmaceutical glaze). Free of gluten, wheat, milk/dairy, nuts, soy, eggs, fish, shellfish, yeast, sugar, artificial additives. Consult a health care professional prior to use if you are taking medication or have a medical condition.